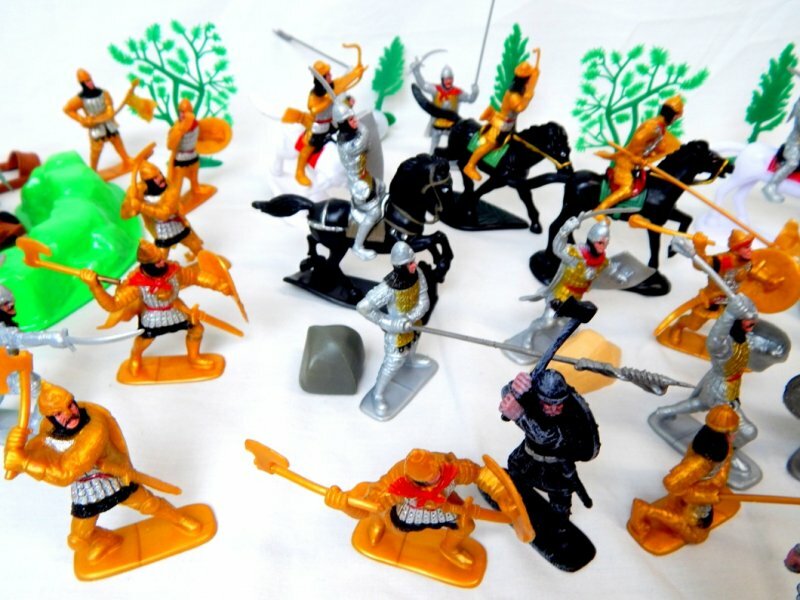 Packed With Knights, Barbarians, And More! 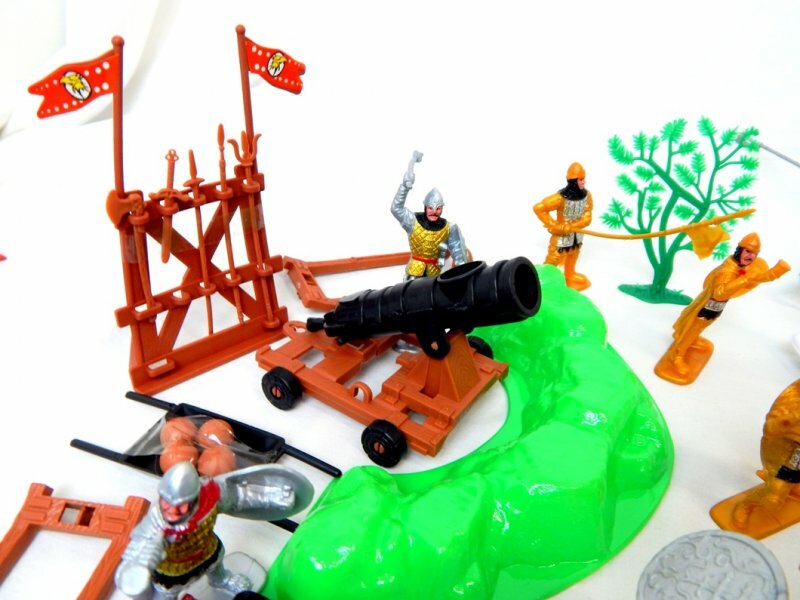 Toy Soldiers Depot Medieval Barbarian Invasion Playset! 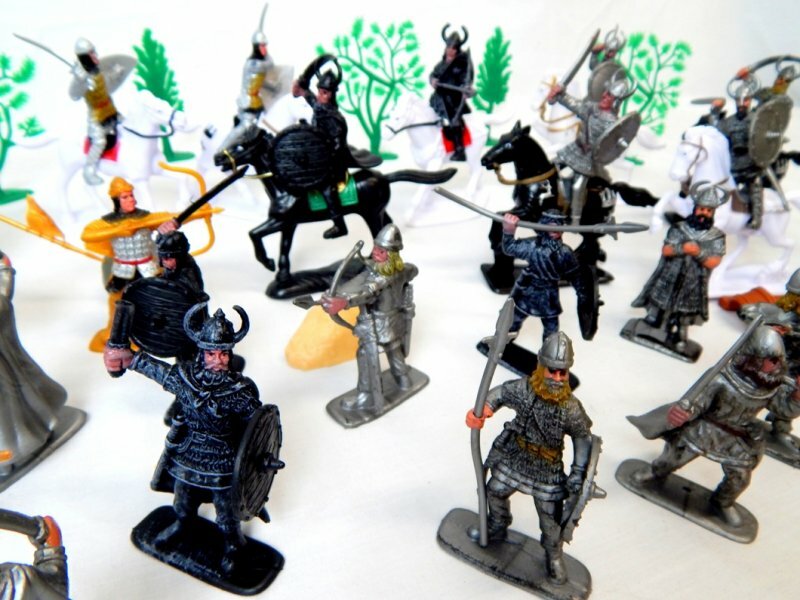 This Limited Edition Playset comes with all the following...14 Foot Barbarians Warriors, 6 Mounted Warriors with Horses, 16 Foot Knights, 6 Mounted Knights with Horses...figures are plastic, approx 2 1/2" tall, and come painted. 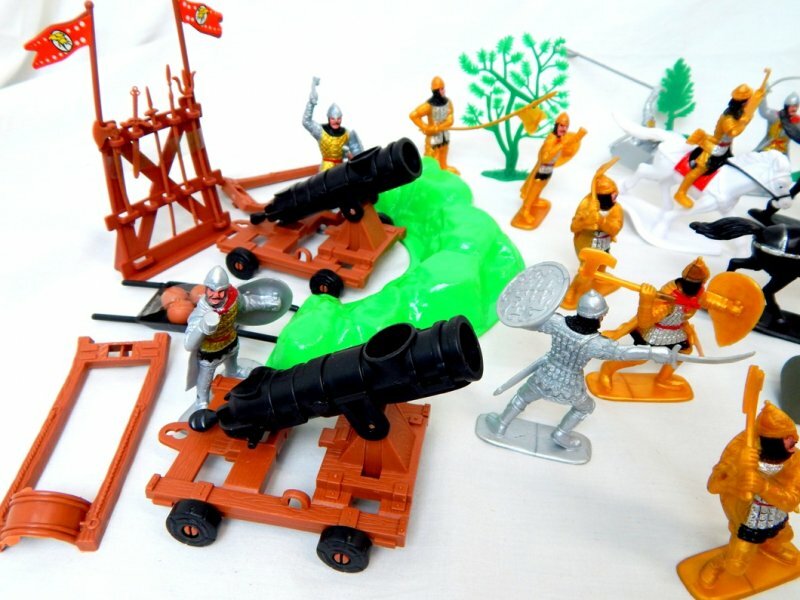 Playset also includes Seige Machines (may vary from pictures), Trees and Rocks, and other accessories! 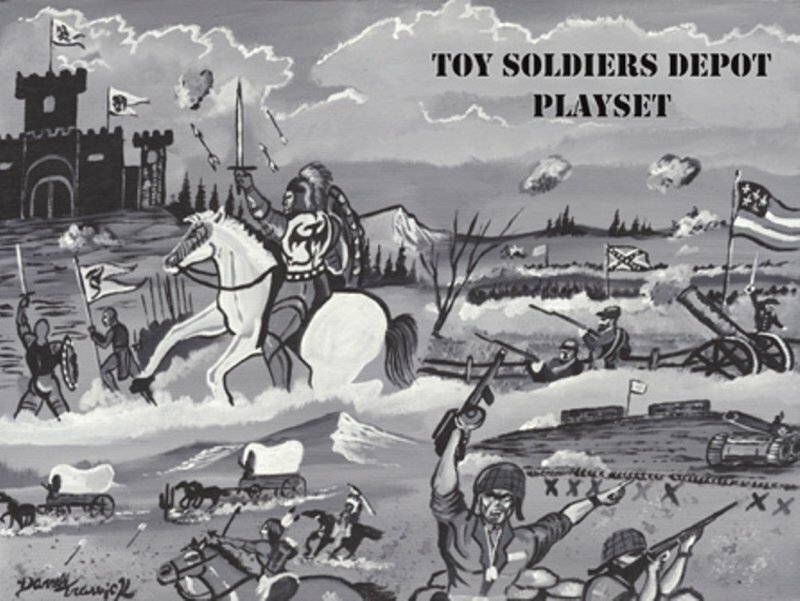 Everything comes in a Custom Playset Storage Box! 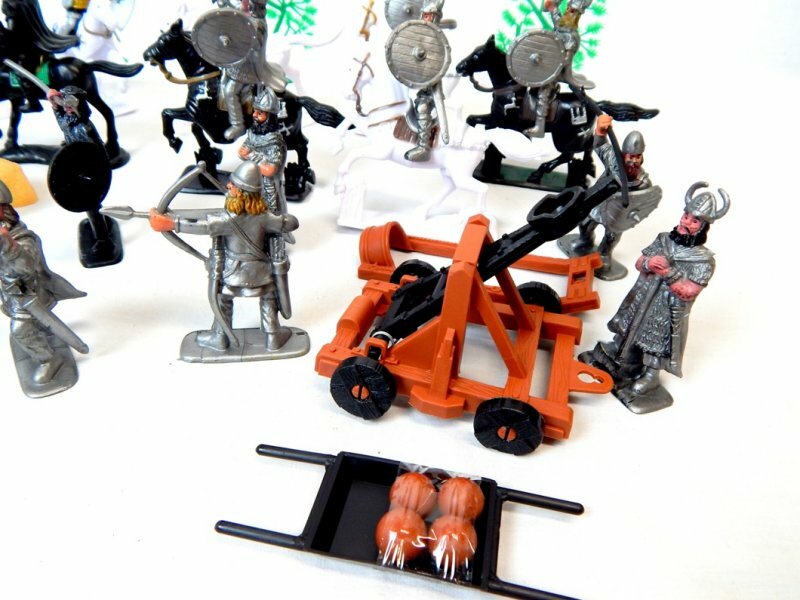 Everything you need to recreate the Medieval Invasions of Europe or Viking Raids!